If you own or are planning on buying a boat, then you’ll want to consider insuring it. Although homeowner’s insurance does provide some coverage for your boat, it’s usually minimal and it’s usually only for boats with small engines or no engines at all, such as small sailboats. Because of this, you should protect your investment as well as cover any potential liability by purchasing boat insurance. Damage and theft – This coverage will help pay for repairs or replacement should any damage occur to your boat while you are out on the water. Some of the risks that are generally covered include collision (such as with the dock or with other boats), storms, fire, sinking and theft. Liability – If you injure someone, damage another boat or damage someone’s property while on your boat and you are at fault of the accident, liability coverage can help cover the expenses you incur as a result. Medical payments – This type of coverage will help pay for the treatment needed for anyone that was injured on your boat. Uninsured watercraft coverage – If you are in an accident with an uninsured boater who was at fault for the incident, then this coverage will help pay for any damages or injuries that were incurred. 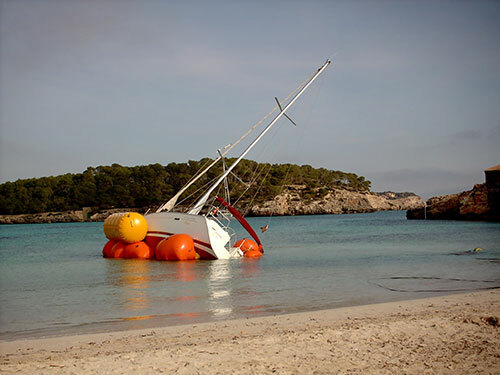 Basic boat insurance typically only covers the main components of a boat. This means that if you have added special equipment or accessories to your boat, such as fishing equipment, then you’ll need to purchase additional coverage if you want to make sure that they are insured. There are two types of total loss coverage to choose from – market value and agreed value. Market value coverage will only provide you with enough money to replace the boat’s value at the time of its destruction or sinking. This is usually less than the initial cost of the boat due to depreciation. Agreed value coverage will provide you with the value of the boat that was agreed upon upfront. Because of how this works, many owners purchase agreed value coverage for new boats and market value coverage for used boats. For more information about our affordable boat insurance policies, contact us at American Insurance Brokers for free boat insurance quotes today. What would you like to know about AIB Boat Insurance?